For those experiencing financial difficulty, please click on the ‘Additional Information’ tab to read about the discount code. I am offering a £15 discount for those who simply cannot afford to pay for the full price of the course, whether on benefits, low income, or in financial crisis. I have chosen to trust that those who can afford to save or pay for the course in full, will do so, to enable me to continue running this discount code. Please sign up below to be emailed your £15 discount code. Thank you. A million times over. I have immersed myself in your course (4 days worth in one night) and I’m in tears. In just one short hour I have realised and accepted that it’s not my fault that I have anxiety. Something that I haven’t considered…ever! I have had several therapy sessions with a local counsillor that have helped me tackle my trauma experience and the triggers for my anxiety, but I’ve never explored anxiety itself which I rhink has held me back from taking control. Wit this single realisation, I already feel strong and empowered and cannot wait to continue with the course. I just wanted to thank you for something I can’t thank you enough for. I’ve got to page 20…and I’m sobbing…it’s like you know just how I’m feeling..I’ve never met someone who can understand how I feel…how the elephant sitting on my chest will not let me get enough air to my lungs. Thank you for letting me know I’m not alone. Thank you, thank you! By just day two I feel like I understand my anxiety so much better. Your writing about how anxiety can be used to try to control things really struck me. Thank you so much Anna. I’m not far into it but you speak so much sense. Wow I appreciate that I am only on page 24 but the course is really making me think differently. Whilst some of the things I remember are quite uncomfortable I am pretty sure that I can work at reducing my anxiety and at least I can identify them. Love the bit about the glasses !! I would so recommend this course total bargain. Hi Anna. I want to thank you from the bottom of my heart! My daughter is on week one of the course and already I see a change in her. She has always been a worrier but she said yesterday when something was playing on her mind after reading it on social media, she thought of the pointers and it helped her to put it into perspective. Thank you so much. She still has 2 weeks left which is amazing because if she has found a difference now, it’s ojnly gonna get better. Sorry for the essay. Just wanted you to know you are amazing. Hi Anna. I hhave started your anxiety course today. I have just read this part and suddenly burst into tears: ‘Firstly, I want to acknowledge that I know this isn’t a small deal for you. It takes a lot of courage to address something that has been a part of your life for a while now’. For a long time I’ve felt like I’ve needed a good cry and just couldn’t get the tears to flow. So this isn’t a bad thing but it did surprise me! I just wanted to say thank you so much for including this sentence. The fact that you acknowledge how much of a huge step this is for me, and many others, has made me instantly trust your words for the rest of the course. I’m nervous but excited for what’s to come. Thank you, thank you, thank you. The Reframing Anxiety Course is fab! Armed with my new tools, I went to the cinema and watched a film for the first time in 10 years! I managed to convince my partner to do the reframing anxiety course, today he came home and said for the first time he had a technique that worked! (The alphabet one) I can’t explain the difference I saw in him, for the first time It’s like he has a hope that he wasn’t just born like it and can work on it. He’s had crippling social anxiety and lots of unhealthy coping mechanisms since I met him, it’s nice to commit to something and for it to be making a difference. Thank you. Thank you for providing this tool for us all! The past 3 weeks have made me sit down for 10 minutes each night and address everything that I usually push away or ignore, in a systematic manner that actually works!! It’s made me understand that it’s about management and not quick cures with can end up with me relapsing all over again, and that is something I needed to learn. For anyone reading these reviews wondering whether to start. Do it. I promise you will not be disappointed!! 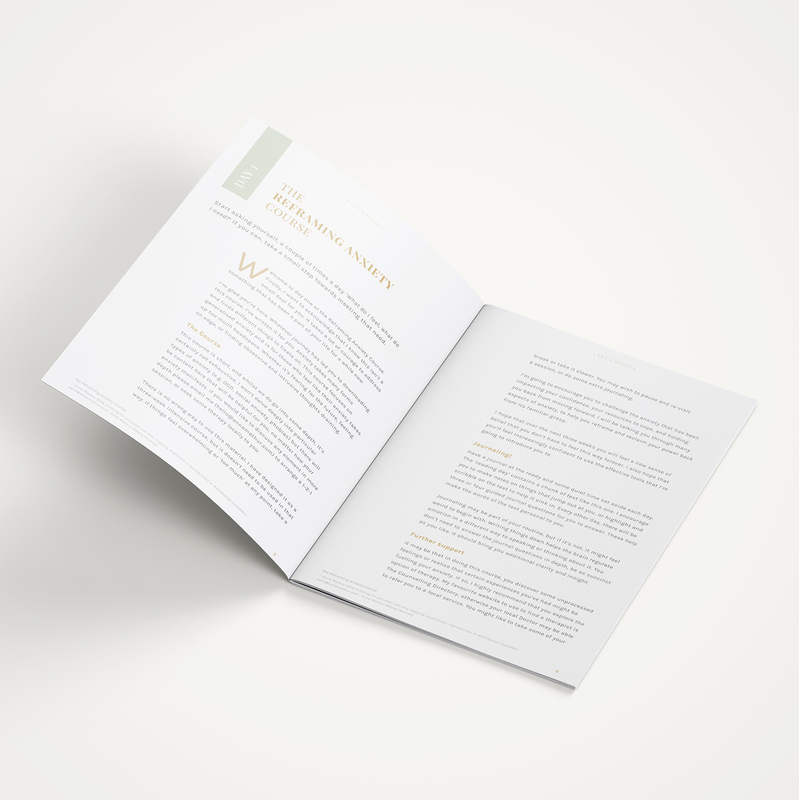 I’ve read many ‘self help books’ and the advantage of your course is that the bits you need – the tips, the causes – not all the science and hypothetical case studies that you read through to get the bits you need – are all there, and in such an authentic voice. 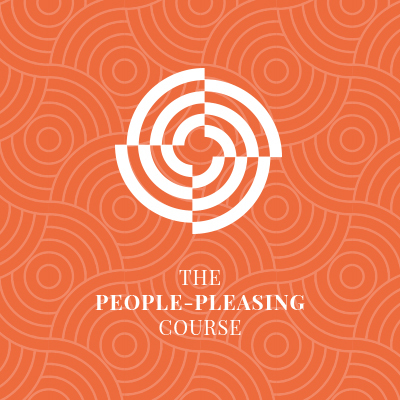 Thank YOU for sharing so honestly your own battles, in this course. It feels really supportive. When something is literally changing your life! I’m on day 14 and had a lot of happy tears and sad tears but it’s like a window opening. Thank you for all your hard work! Pregnancy has always been a wonderful but challenging thing for me. I am currently expecting my 3rd and have suffered from pretty rubbish anxiety since a miscarriage (1st pregnancy). Already this course has given me some much needed insight into why I have this anxiety and I am hoping that I can learn to manage it and enjoy my life so much more, because my life is so, so good! Thank you Anna. I have purchased your anxiety course, it’s amazing!! Today I was able to go to the Dr for the first time in 5 months without completely losing it. I did my breathing exercises and was able to actually have a conversation with the Dr without crying. Today I start CBT and am hoping the shell of a life I have will be able to be turned around!!! Thank you for the opportunity to take control of my broken emotions. The course has really helped me address how I have been my own bully and I particularly how I can address my internal dialogue. The techniques you have recommended have improved not only my days but also my little boys, I’m spending much more time present in the moment and enjoying my time with my family. I will no doubt be using Anna either for coaching ( when your back in business after baby) or with the nice girl course. Your most definitely a help to me daily on instragram and now I have my own tools to get me through, can’t thank you enough! I feel like this course has given me a part of my life back. I meditate and practice mindfulness. I thought I had a general handle on my anxiety. I’m a pediatric speech therapist and it can take it’s toll emotionally. I thought I would give this course a shot and that it couldn’t hurt. I have a new outlook on how I need to take better care of my mental health. That I need to be as kind to myself as I am to my students. This course gave me so many ways to really examine how anxiety was affecting my life and ways to start really working on it. If you’re reading this and thinking about trying it, it’s so worth it. The way it’s worded is like a wise friend is helping you through a tough journey. It’s not preachy in any way. It’s so cheesy to say that this perfectionist has found some much needed self-love after this but it’s so so true! 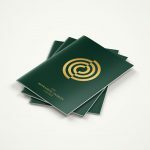 I’ve just finished the anxiety course and wanted to say thank you. I’ve never had the causes of anxiety explained to me before so it was reassuring to read that after everything I had experienced by the time I was 23 it’s only natural to have it. I’m 39 now & am now trying to work with it as best I can. Your course gave me a good understanding of it & has given me some tools I am going to start using. So thank you again. Anna, you don’t know me but I am doing your Reframing Anxiety course and it is changing my approach to each day and to my life. Thank you. This course has truly changed my life. I no longer feel alone and like I’m just ‘going mad’. I’ve been putting the tips and techniques into practice over the last few weeks and through using them I have accomplished more in 3 weeks than I have in years. Words can’t express how thankful I am to you Anna, because of this course I’m finally getting my life back from the grips of anxiety! Just wanted to say a massive thank you! I finished this course last week and I honestly can’t believe the positive effect it’s had on me. I done the course every 2 days and really looked forward that time to myself. I found the mixture of reading and journalling very interesting and therapeutic…you explained things in a way I understood and made me feel that I wasn’t alone on this journey. Thank you again! 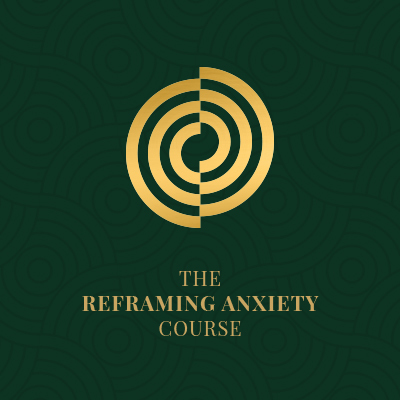 I’ve just completed the Reframing Anxiety Course and wanted to say a huge thank you. Your course, your instagram page and just your personality/nature have really helped me. My main issue is with health anxiety, having witnessed my uncle pass away from lung cancer after a very short battle when I was 20 years old. Although i’ve talked about it in the past I have never fully dealt with it, and when my own health issues crop up it rears it’s head and sends me into a spiralling out of control mess. Having completed your course, I see things so much differently now and I feel like I have made such good progress in processing this traumatic event. You’ve educated me on all those key points that surround anxiety, the what is it, the why’s and the how’s and the physical effects it has. Understanding the basics of anxiety coupled with your top tips at the end of the course has provided so much clarity. I feel like I am much better equipped to win the next battle if/when it arises. I’m sure they’ll be set backs along the way but I feel so much more confident in myself that when the going gets tough I’ll be tougher and i’ll be able to revert back to my journal from your course and find my way through to the other side.